Must present offer at time of purchase. One coupon per customer per visit. Some models excluded. Not Valid with any other offer. This offer has no cash value. Tax additional. 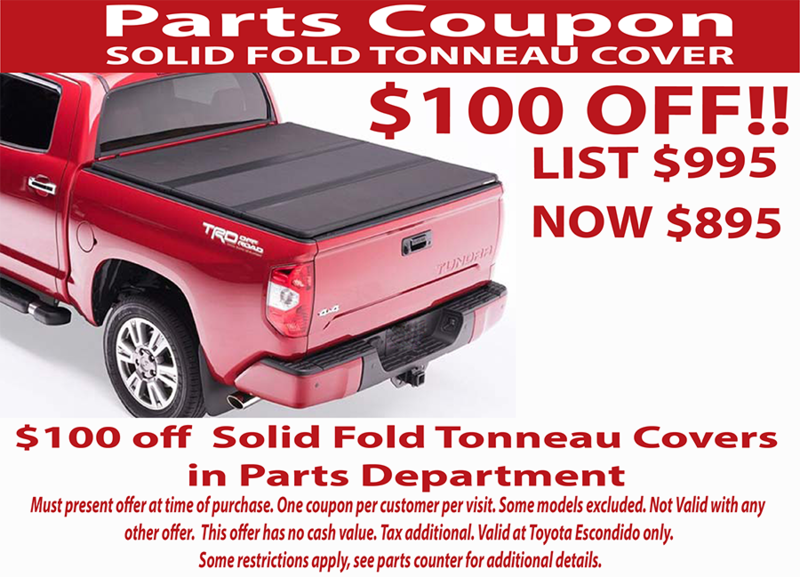 Valid at Toyota Escondido only. Some restrictions apply, see parts counter for additional details. Must present offer at time of purchase. One coupon per customer per visit. Some models excluded. Not Valid with any other offer. This offer has no cash value. Tax additional. 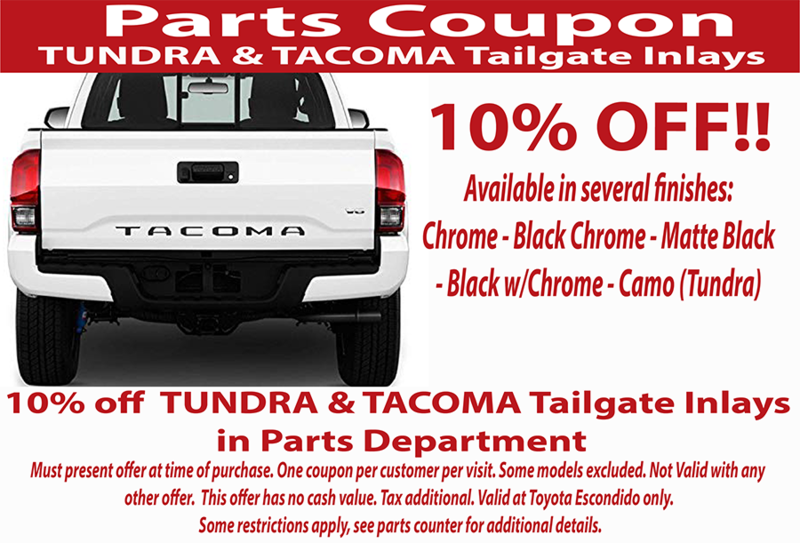 Valid at Toyota Escondido only. Some restrictions apply, see parts counter for additional details.